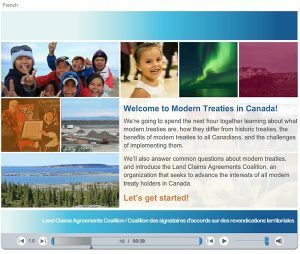 Formed in 2003, the Land Claims Agreements Coalition has membership representing Inuit, First Nation and Métis modern treaty organizations and governments in Canada. 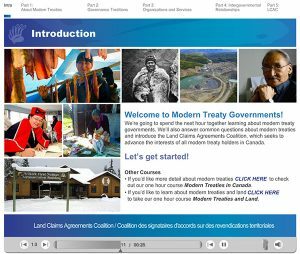 Our objective is to ensure that modern treaties are fully implemented in spirit and intent, and to work closely and collaboratively with the Government of Canada and our other partners to bring this about. 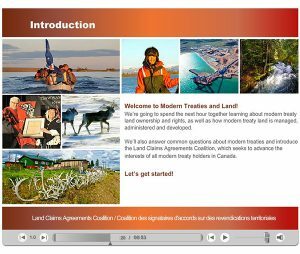 Did you know that modern treaties cover more than 40 percent of Canada’s land mass? Or that more than 70 Indigenous groups are currently negotiating modern treaties?